Was I shipped the wrong radiator? 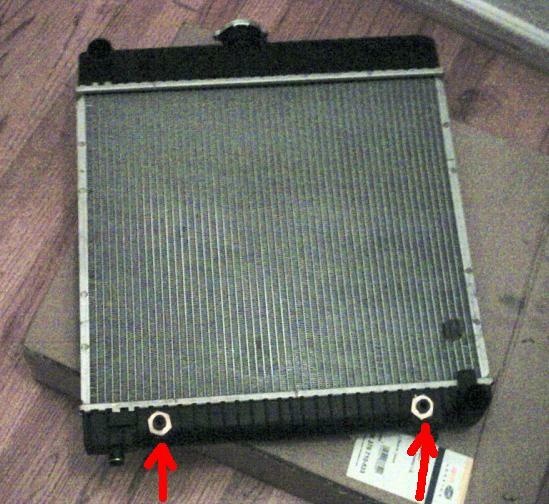 Just a few minutes ago I removed my old, leaky radiator and was about to replace it with a new one, a Behr, which I bought online, specifically for my 1979 240D. Big surprise (and was quite pissed too!) when I noticed that the two radiators look different. The new one has two extra hose connections (at bottom of radiator, see picture) that I don't think are supposed to be there. So, is this the right radiator and I am supposed to plug those unused, extra openings with plugs, or something, and make it do, OR did they actually ship the wrong item and now I need to send it back for replacement? This is the first time I work on the cooling system and it's all new to me... Your advice will be much appreciated. 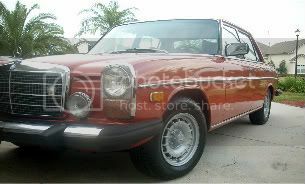 1979 240D, W123, 105K miles, stick, white w/ tan interior. You could use that element and the extra hose connections, to radiatively cool something else that needed it if you were so inclined I suppose. A/W intercooler integrated with the radiator itself perhaps? Thats for 240d's with auto transmissions. Since you have a manual id just plug the ports and not worry about them, they're not going to leak anything. He does not have a turbo, and the ATF cooler in the radiator would make it a inter-heater. Agreed. They are probably using the one model generically across the board for all models to reduce cost. Plug them and forget it, maybe check some websites to compare manual and auto search replies. The radiators have the same surface area and will fit as they should. You really don't even have to plug them. Yes, one rad is used for both auto and manual trans cars.